Rich beef flavor that allows for maximum flavoring flexibility with a low sodium level. Gluten free. 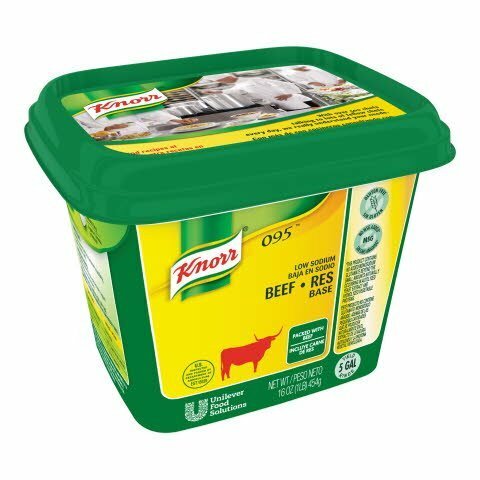 Knorr shelf-stable bases offer high quality at a great value, with no added MSG varieties, hearty flavors, great flexibility and versatility, no trans fat varieties, and gluten-free varieties.